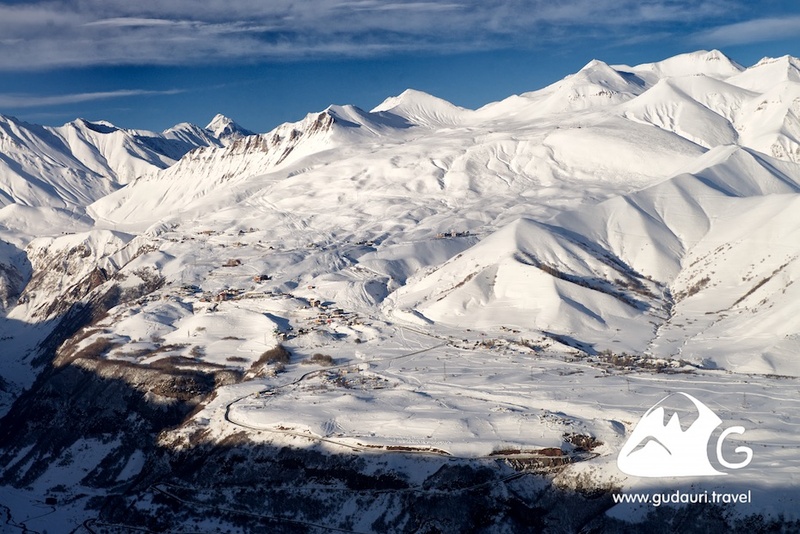 Skiing in Gudauri – what attract people to the most popular ski resort of Georgia? All visitors of Gudauri specially mention incredible beauty of this place. 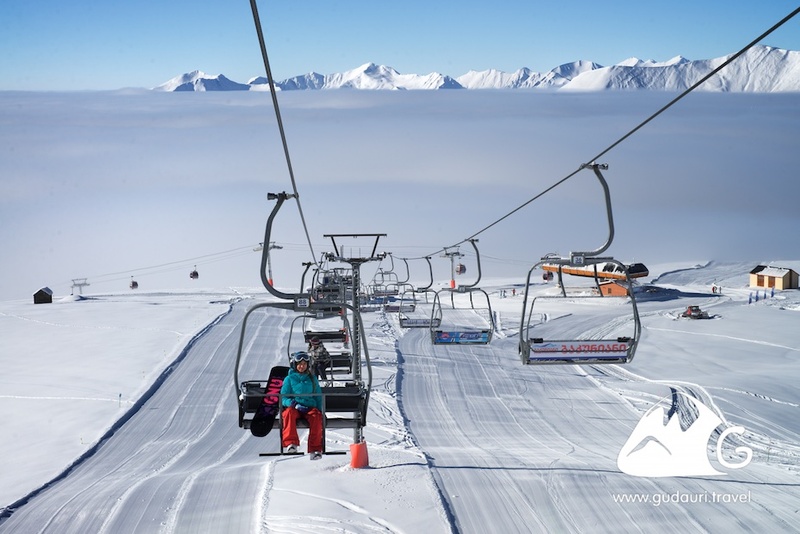 Gudauri is one of five highest-altitude ski resorts in Europe; hotels at the resort are situated 1900 to 2750 meters above sea level; the highest point of the resort is 3300 meters above sea level. Unique location of Gudauri on the highland raised plateau surrounded by mountain ridges allows enjoying the striking views on the mountain peaks. Citizens of most countries don’t need visa to visit Georgia (full list below). Citizens of other countries can obtain visa online https://www.evisa.gov.ge/GeoVisa/. 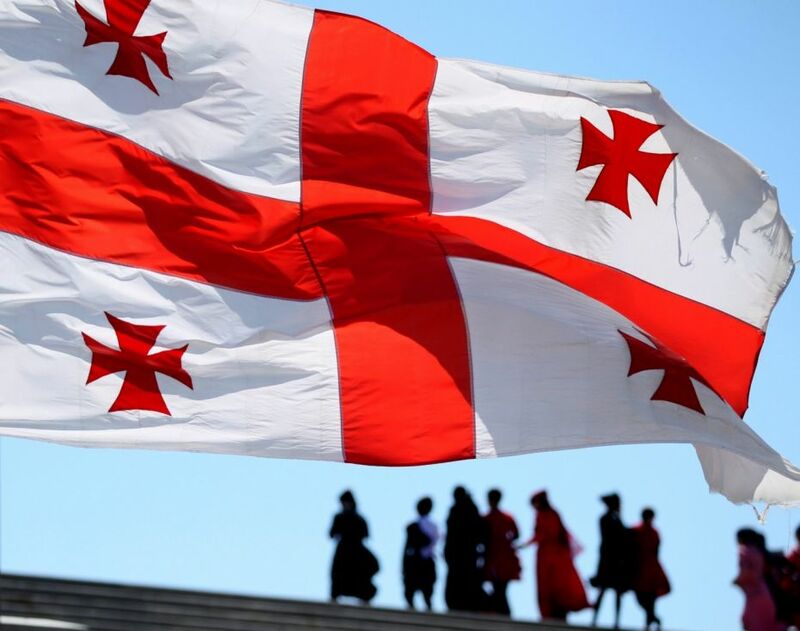 List of countries whose citizens may stay at the territory of Georgia without visa during one year: Австралия, Австрия, Азербайджан, Албания, Андорра, Антигуа и Барбуда, Аргентина, Армения, Барбадос, Бахрейн, Беларусь, Бельгия, Белиз, Босня и Герцеговина, Болгария, Ботсвана, Бразилия, Бруней, Великобритания, Заморские территории Великобритании, Венгрия, Ватикан, Германия, Греция, Гондурас, Дания, Территории Королевства Дании, Доминика, Израиль,Ирландия, Исландия,Испания, Италия, Иран, Канада, Катар, Кипр, Колумбия, Коста-Рика, Кувейт, Киргизия, Казахстан, Латвия, Литва, Ливан, Лихтенштейн, Люксембург, Маврикий, Малайзия, Мальта, Мексика, Монако, Молдова, Монтенегро, Новая Зеландия, Нидерланды, Территории Нидерландов, Норвегия, Объединенные Арабские Эмираты, Оман, Панама, Польша, Португалия, Румыния, Россия, Сан-Марино, Саудовская Аравия, Сейшельские острова, Сент-Винсент и Гренадины, Сербия, Сингапур, Словакия, Словения, США, Содружество Багамских островов, Турция, Туркменистан, Таиланд, Таджикистан, Украина, Узбекистан, Финляндия, Франция, Территории Франции, Хорватия, Чехия, Швеция, Швейцария, Эль-Сальвадор, Эквадор, Эстония, Южная Корея, ЮАР, Япония. 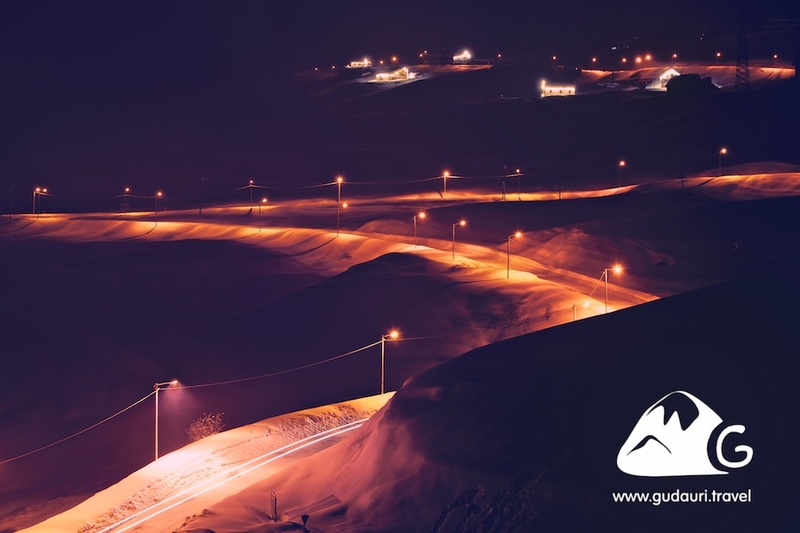 Development of Gudauri is one of the priorities in Georgia; every year government allocates millions of dollars for expansion of the existing infrastructure of the resort. 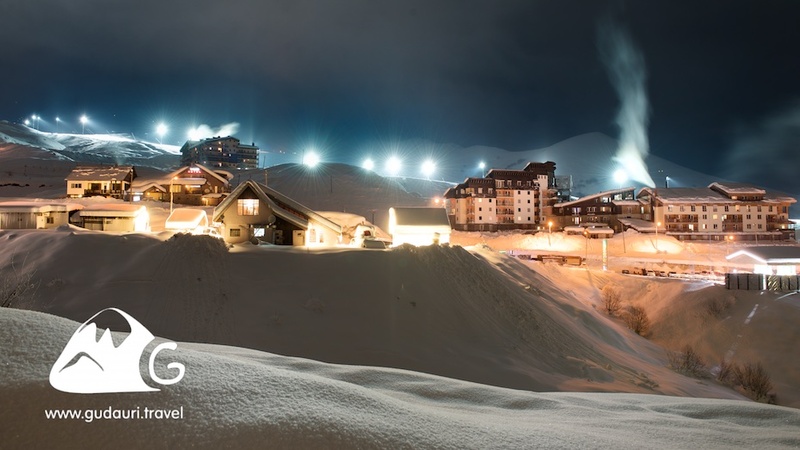 Gudauri develops like no other resort in Georgia. Ten years ago in Gudauri there were only 13 hotels, now more than 50 and tens of apartment buildings. Master plan of the resort was developed by Canadian company Ecosign Mountain Resort Planners Ltd. 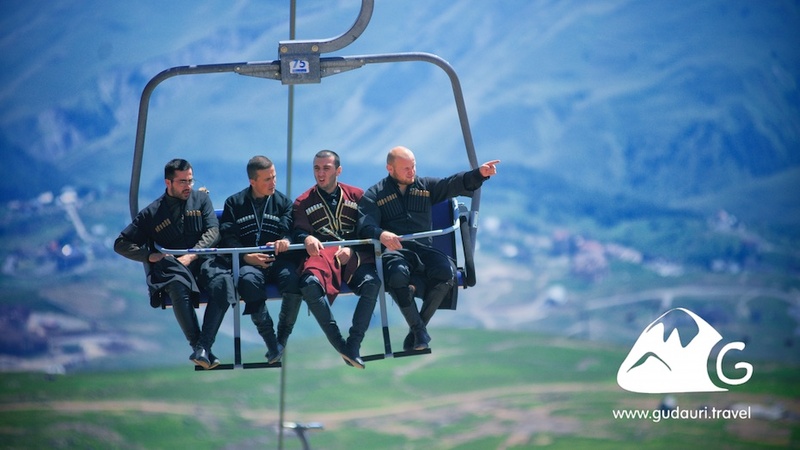 In the framework of this project each summer massive construction works are performed in Gudauri resulting in resort approaching the strictest international standards. In Gudauri there are restaurants, supermarket, filling station, medical center, SPA-centers, night clubs, rental agencies and even Russian bath heated with firewood. 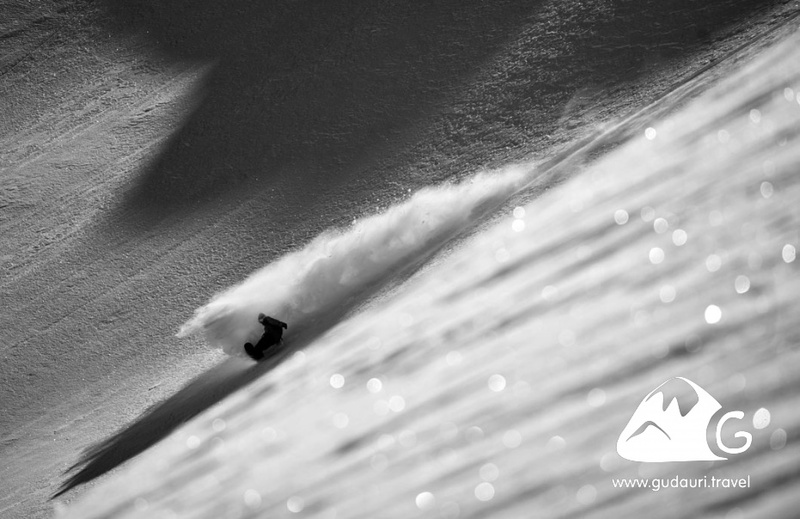 Freeriding in Gudauri is permitted directly under the lifts, near the ski tracks lay thousands hectares of virgin snow. 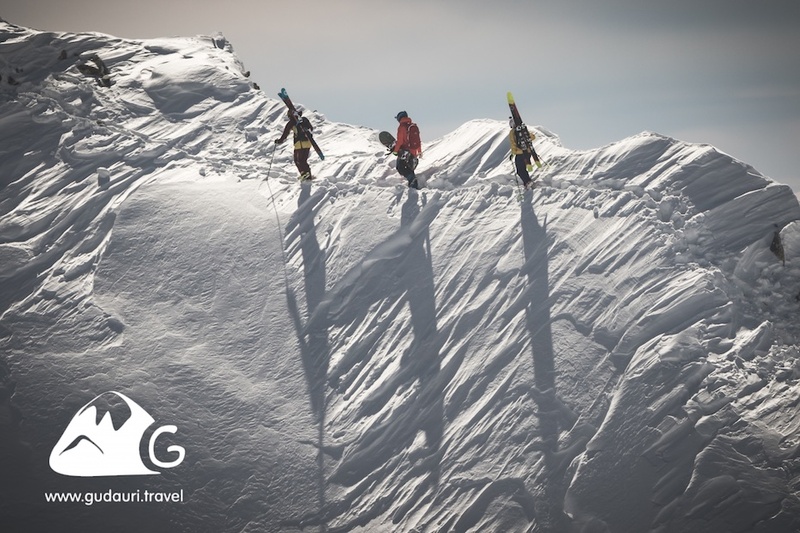 Experienced sportsmen may take part in Heli-ski or Freeride programs in mountains near Gudauri accompanied by our certified guides. * Note: At many European resorts freeriding is forbidden, skiing outside the tracks leads to serious penalty. Cutting the slope and causing the avalanche a freerider can unintentionally cut the power supply to mountain settlements (when the power lines are broken) or cause the death of other people. 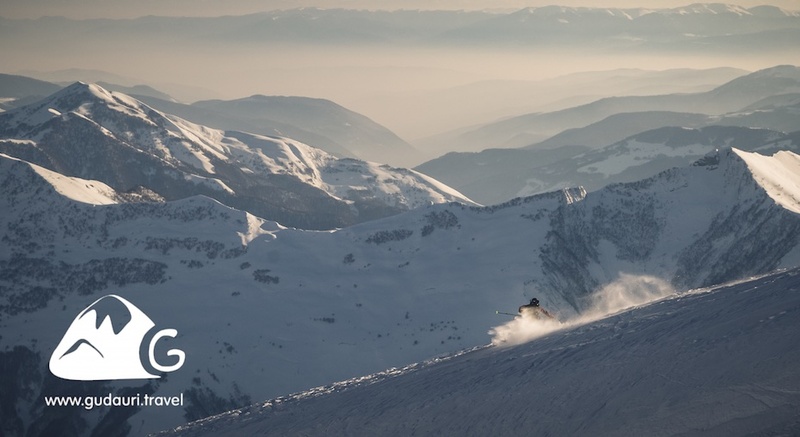 Heli-skiing is forbidden in European Alpine countries on environment protection grounds. 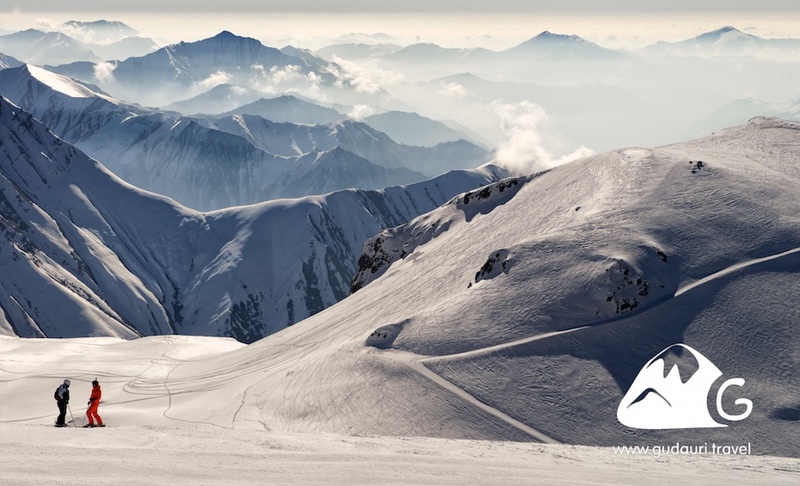 In Caucasus freeriding and heli-skiing are still possible due to the low population density in mountains. Georgia takes the third place in the world rating of the safest countries (source…). In the Criminal rating list drawn up by the authoritative web-site Numbeo for 118 countries Georgia takes 116th place based on data for the first half-year of 2016. Only Singapore and South Korea outscore Georgia in this rating. Order in the country is ensured by the non-corrupted police which uses modern methods of supervision and law enforcement. Georgia is the country with ancient and original culture which is really a unique achievement in World history. Cultural heritage of Georgia together with its unique mountainous landscape allows putting this country among the most exciting places on our planet. General Secretary of the World Tourist Organization of UNO Taleb Rifai in September 2016 named Georgia as the most beautiful country in the world (Source...). There’s no language barrier in Georgia, personnel of all hotels speaks Russian and English. 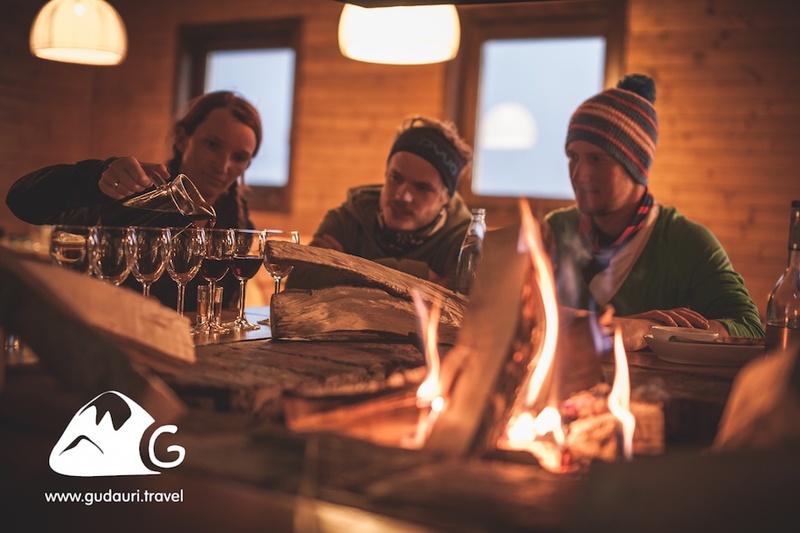 Affability, cordiality and hospitability of the local population will leave a nice impression of your stay in Georgia. People above 30 understand and speak good Russian, younger people are good in English. Georgia is a birthplace of wine (source...). 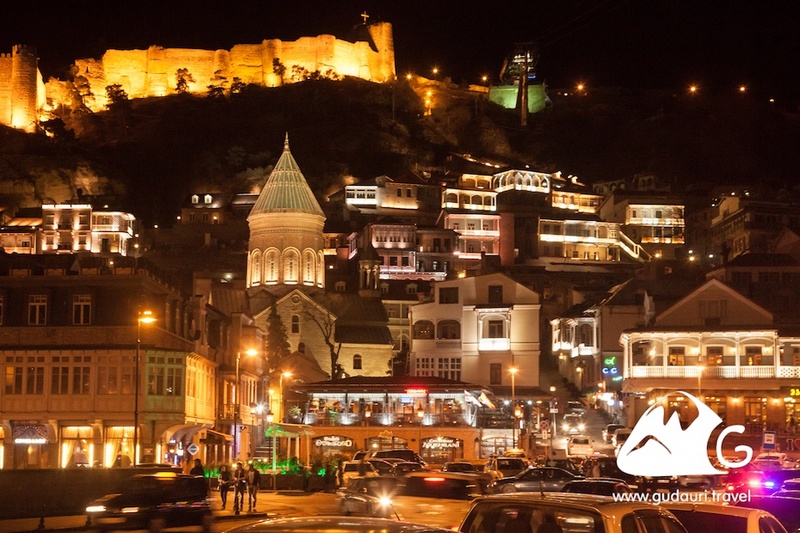 Inexpensive and quality alcohol – in Tbilisi you can buy green wine cheaper than milk; and a bottle of excellent five-stars brandy in supermarkets is a little bit more than USD 10. It often happens when people arriving to Georgia get a bottle of Georgian wine together with the border-crossing stamp and greeting “Welcome to Georgia, a birthplace of wine”. It is in Georgia that like nowhere in the world a cult of wine, wine-making and rituals related to the feast (Toastmasters’ Institute etc.) became an integral part of the national identity. Georgian kitchen combines simplicity of cooking most of the dishes with diversity of ingredients and is famous with its complex gamut of flavors and variety of unique recipes. 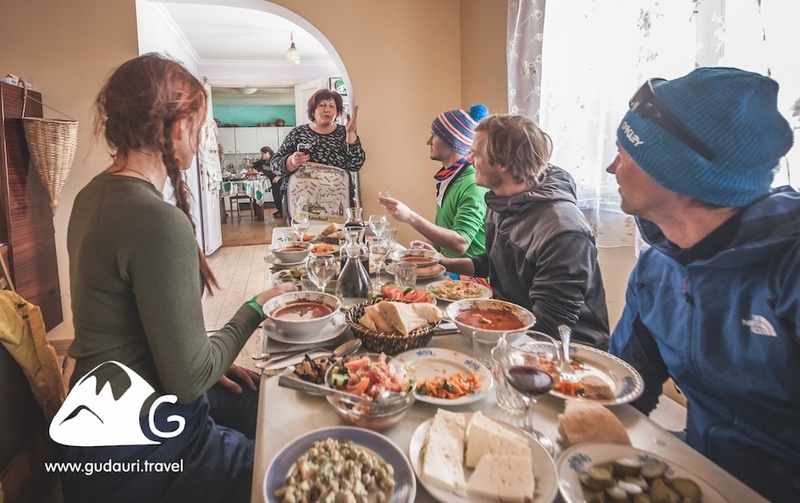 Georgian dishes attract with their natural quality – vegetables smell like vegetables, normal tap water in Gudauri is safe to drink meat and milk products in most of the Gudauri hotels are local, grown in the high mountain pastures. No GMO or nitrates, only fresh and natural products. For centuries Georgian people cultivated a unique concept of hospitality, relationship between host and guest founded on biblical ideas – a guest for Georgian people is “the Messenger of God” as a Georgian traditional proverb says. The copyrighted article. This material should be only reprinted with reference to www.gudauri.travel. Photographs are taken in Gudauri. Photographers: Oleg Gritskevich (Georgia); Klaus Listl (Germany).